Hi Everyone! 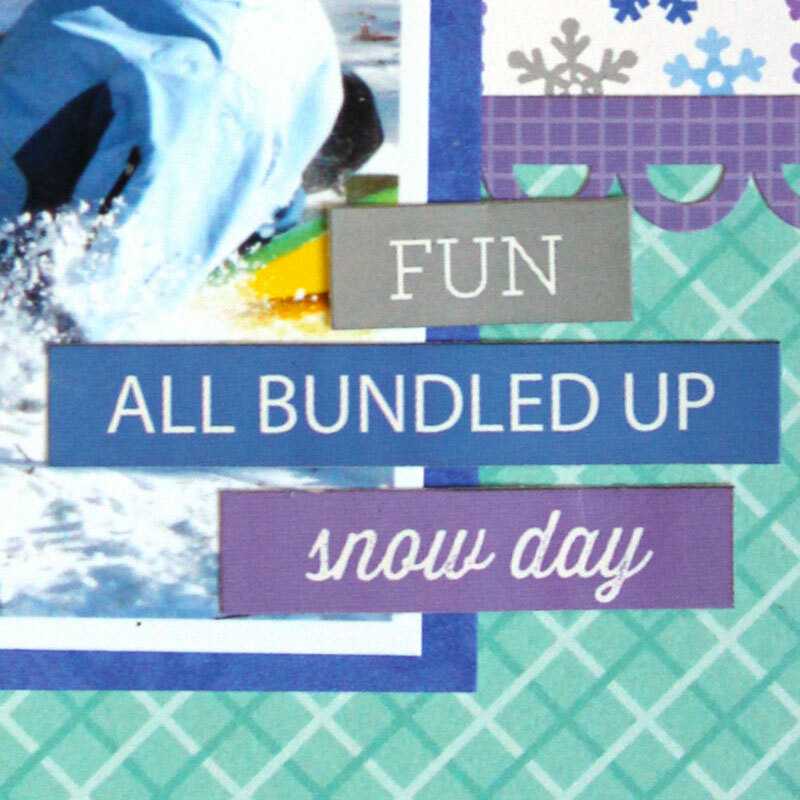 It's Kathy today with a layout I created using the ADORABLE new Polar Pals Collection! I adore these pictures of the girls sledding at a local hill a few years ago... I was playing with the new lens Santa brought me for Christmas, I love how I was able to capture all the action! The colors and embellishments in Polar pals are perfect for winter activities! 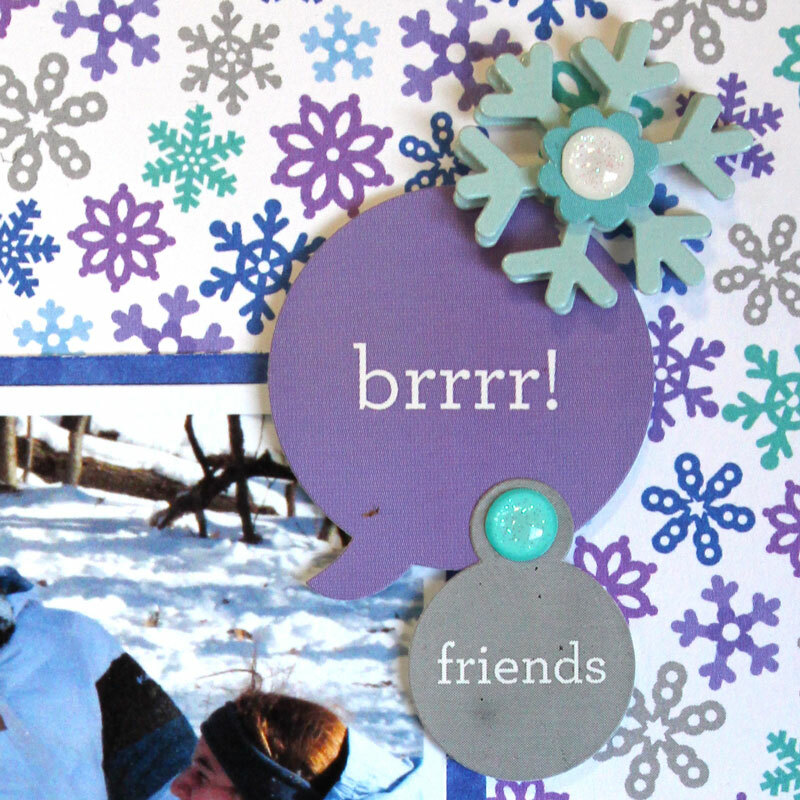 There are all sorts of snowflakes in the collection, and I used them all, from the big snowflakes in the Snowflakes Craft Kit, to the Frosty Flurry Mini doodle-pops to the Winter Snowflakes Sprinkle Shapes... they are all so much fun! I also love the stickers on the This and That Sticker Sheet... especially the speech bubbles and the little word stickers, they are so much fun to cluster! My favorite by far are the little Doodlebug Snowmen and critters!! I HAD to use the Sweet Snowman doodle-pop... he is just so cute! 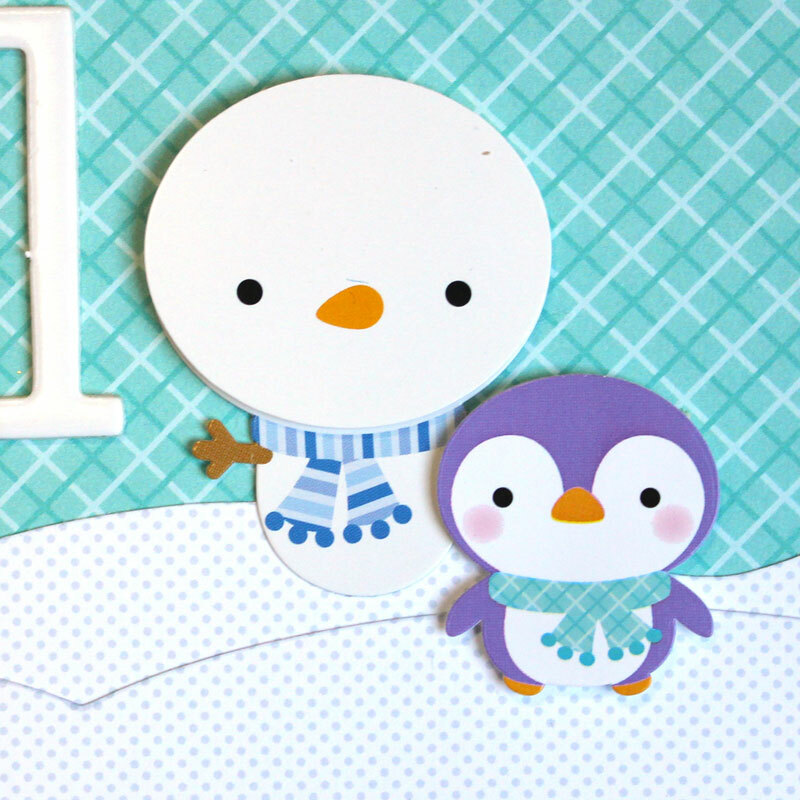 The little penguin sticker is from the Icon Sticker Sheet, he comes in a few different colors and his rosy cheeks make me smile! That's it for me today, make sure to come back every day this week for more Polar Pals Inspiration! Thanks for stopping by to peek! Beautiful Kathy! I love the colors. Don't see purple enough! I love how you made the snow hills on the bottom. Cute. Love the colors, very wintery! The design is perfect! Love everything about this Kathy! !